Jim McCabe, President and founder of The Infinity Marketing Group, has over 28 years of experience in the CPG industry with Fortune 500 companies and privately owned, entrepreneurial organizations. Jim is a passionate general management executive with demonstrated ability to develop and execute strategies that deliver significant revenue and profit growth. 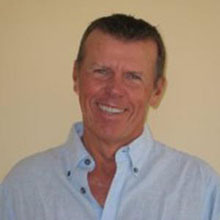 Jim has broad experience in sales, marketing, business development, operations, new product development and finance. Jim has hands - on experience across all brands within the portfolios of Unilever Foods, Dole and Keebler and has spent the last ten years focused on building specialty brands such as Carr’s, Paterson Arran, Miss Meringue, Jacques Gourmet and Egg Innovations. Jim’s most recent positions include General Manager of the specialty foods division at Keebler, President/CEO of Jacques Gourmet, a specialty foods and restaurant company and President of O-2 Cool, a durable goods company. He has also demonstrated success in building several private label portfolios in the dry grocery and frozen categories. Jim’s experience encompasses all categories (grocery, dairy, frozen, produce and in-store bakery) and trade channels to include direct retailer selling and the use of specialty food distributors. This experience has allowed him to develop relationships nationwide with retailers, brokers and distributors. Donna McCabe, SVP and co-founder of The Infinity Marketing Group, has extensive experience in the CPG industry, on both the client and agency side. She spent the majority of her career at top-tier CPG companies, Unilever and Kraft Foods, in Marketing and Consumer Activation. She has an outstanding track record of developing and executing strategically grounded marketing plans that have consistently driven achievement of business goals. On the agency side, Donna played a key role as Senior Director at IN Marketing Services, a top performing Shopper Marketing agency. Donna’s efforts on the Unilever business contributed to Unilever’s recognition as #1 in the 2014 Hub Shopper Marketing Excellence survey. Donna’s experience incorporates the full range of development and implementation of both individual, brand-focused consumer activation programs and Scale/Multi-brand events. She has managed budgets of over $20MM in support of the full portfolio of both Kraft and Unilever brands. She has also provided leadership of teams of 20+ members. 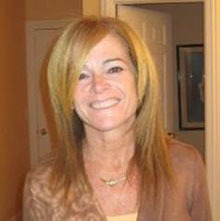 While at IN, Donna was responsible for developing and implementing Shopper Marketing programs for retailers in the Grocery, Drug, Value, and Mass Merchandiser classes of trade. She also led the creation of an innovative on-line menu capability for Regional Grocery customers that streamlined the Shopper Marketing process and drove significant improvements in efficiency for Unilever.